Acevedo born in 1941 in Caibarien, in the old province of Las Villas. After the Castro's landing in 1956, he participates in some revolutionary actions. In 1957 with at the age of 16 years, he joins with the guerrilla, in a unit under the command of the Che Guevara. In the actions of Pino del Agua and the Jigue he foughts in the troops of Fidel already as lieutenant. Acevedo participates in the invasion to the western fighting in the 'Columna invasora N°8 "Ciro Redondo" of the Che Guevara. He finishes the war in 1959 as captain, and is sent to direct the military school "Camilo Cienfuegos". In 1960 he is appointed as National Director of the new created National Revolutionaries Militias (MNR), of contributing decisive in them you fight by Bahia of Pigs. It occupies diverse charges in the Armed Forces, including that head of the Political Direction of the FAR. 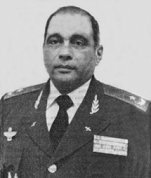 In 1975 the Major Acevedo goes to Angola for a year as the first head of the Stab of the Cuban Military Mission in Angola (MMCA). In 1985 he returns to Angola as second military chief of the MMCA. In 1989 the General Rogelio Acevedo is appointed President of the Cuban Civil Aeronautical Institute (IACC), charge that occupies until today. The Institute directs all the civil aviacion in Cuba, including the airliners Cubana and Aerocaribbean (that transfer the 30% of the tourists to Cuba), the ground infrastructure, airports, the support to the agricolar aviation. He was President of the Civil Corporation Corporacion Inc. Participates in the burial of the remainders of the Che Guevara in Santa Clara. He was fired from this posts on march 8, 2010, extraoficially for corruption. Carreras was born in 1923. Her father was corporal of the Cuban Constitutional Army and the mother home working. They has six children. Carreras grow in Matanzas, where seeing the flying boats in the bay, and then he was impassioned for the aviacion. He income to the Army by means of the Emergency Military Service (SME). Already in the Army, he aspire to a place of aviation cadet. He step all the tests and was accepted at the end of 1942. Carreras finishes the studies March 25, 1944. "I achieved my dreams" says. During the remainder of the Second World War he patroled the Cuban water in search of Germans submarines. When the coup d'etat of Fulgencio Batista in March of 1952, Enrique Carreras is ascended to Captain Assistant of the General Stab Chief, the Colonel Eulogio Cantillo that until that moment was the Army Aviacion Corp Chieff. Then he passes to the aviacion again, and he is appointed as leader of the Escuadron de Combate of F-47D Thunderbolts. He participates in conspiracies against Batista, and in 1957 the lieutenant Alvaro Prendes attracts it to the Movement 26 of July of Fidel Castro. In September 5, 1957 is produced the revolt in Cienfuegos, and Carreras as leader of the F-74D Squadron, sabotages the order of bombarding the revolts sailors. By this accion Carreras is imprisoned, where remains until the revolutionary triumph of January 1, 1959. The first one accion upon leaving of the carcel went of participating in the investigations for the judgment against the aviators of the Batista's Air Force. He participates in several purges to the personnel of the Air Force, separating of the Corp the not revolutionary personel. Carreras is since the firsts times one of the leaders of the Fuerza Aerea Revolucionaria (FAR). 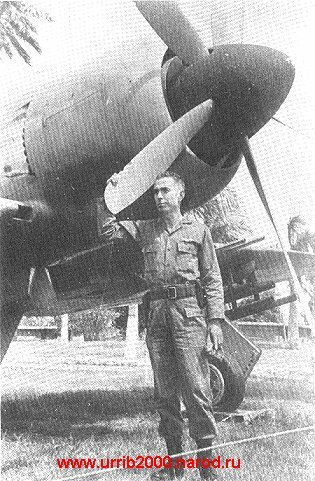 After the flight of Diaz Lanz to USA, Carreras occupies the charge of Leader of the Escuadrón de Persecución y Combate (Pursuit and Combat Squadron). Carreras gave classes of flight to the Che Guevara and to Raul Castro at the beginning of the revolution. During the Bay of Pigs combats in April of 1961, the captain Carreras is one of the pilots of more important success. On April 17 he receives the personal order of Fidel Castro of attacking the ships that transport the invading troops, and with rockets of his Sea Fury, he sunk the Houston ship, that transporting important loads for the disembarked troops, which strike them harshly. He shoot down two B-26: the first one April 19 in his Sea Fury, and another B-26 April 19 in a T-33. In total does 7 missions, and he was the unical pilot that flew in the three combat airplanes types of the FAR: Sea Fury, B-26 and T-33. 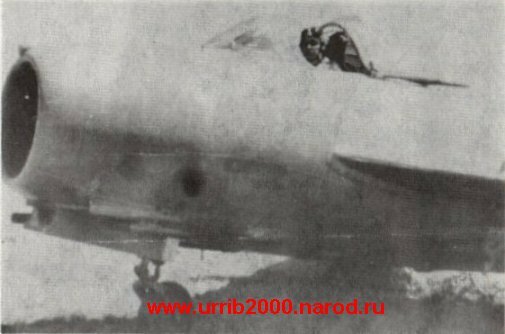 He was the first pilot in Cuba to flying the MiG-15 and MiG-19, and is appointed as Leader of the first Escuadron de Cazas (Fighter Squadron) of MiG-15bis. 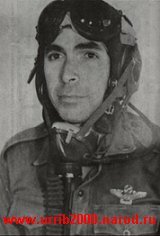 When the Missile Crisis in October of 1962, he represents the Air Force at the leader of operations of the General Stab of the Armed Forces, the Major Flavio Bravo. Carreras was later Military Attache in Peru, Mexico and Portugal, went the leader of a delegation of the DAAFAR to Vietnam during the war with USA. In 1976 the Major Carreras is designed leader of the Cuban Aviation in Angola. In 1988 he stops flying (at the age of 65 years), and in 1994 he is ascended to Division General. At present he lives retired in Havana. He was condecorated with the holder of Hero of the Republic of Cuba. Carreras published his memories in the book 'Por el dominio del aire' ("For the Air Control", 1995). He was born at February 16, 1936 in Santiago de Cuba, old province of Oriente. In 1957 he joins the revolutionary Movement "26 of July", and take part in activities against the Batista's regime, and in 1958 is incorporated to the guerrillas of the "II Front Frank Pais" of Raul Castro. In 1959 he is assistant of the head of the National Revolutionary Police, and in 1961 head of the Supplies Division of the Services Department, in the FAR Ministery (MINFAR). Casas was Vice-minister of the MINFAR for the Rear, in 1969. In 1970 he is ascended to Brigade General, and in 1977 to Division General, and chief of the Rear Services of the MINFAR. In 1965 become a founder member of the Communist Party of Cuba (PCC), substitute member of his Central Comite (CC) in 1975, and a full member of the CC since 1980. Member of the Political Bureau of the CC PCC since 1991. Representative to the National Assembly of the Popular Power in 1981-1986 and in 1993-1998. He was Substitute of the head of the Cuban Mision Military Cuban in Etiopia, for the Rear. Graduate in the Hight Military College and in Military Sciences in the USSR. Today he is the head of the Headquarters and Vice-minister for the Rear, Substitute of the Minister. As responsible for the economical activity of the MINFAR, directs companies as the turistical company "Gaviota" (with his airliner Aerogaviota), and the Union of Military Enterprices. His brother Senen Casas Regueiro was too a FAR General, and Transportation Minister, before dies in 1996. The today Army Corp General Julio Casas Regueiro, was head of the Anti Aircraft Defense and Revoliutionary Air Force (DAAFAR) during 8 years, from 1980 to 1987 and in 1999-2000. From february 2008 to his dead at september 2011, Corp General Julio Casas Regueiro was Defence Minister. He died on September 3, 2011, in Havana. 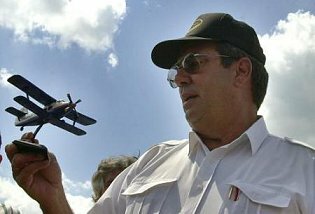 Jaime Gonzalez is one of the protagonists of the Cuban aviation birth. On February 23, 1914, trying to land around las18.20 in Cienfuegos, Jaime Gonzalez collides with an column, damaging the airplane. 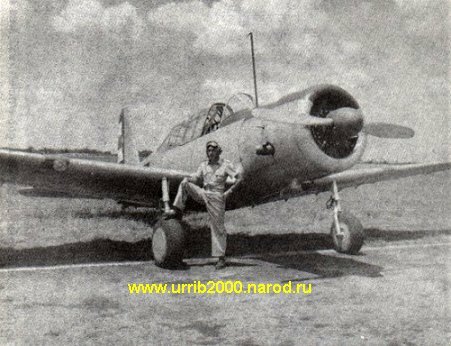 This was the first aviation accident in Cuba. He begins the first flights that cross Cuba. In May of 1914 Jaime carries out one of the more longs flights of the epoque, from Cienfuegos to Havana (285 km). To the next year, in May 27, 1915, he made the first flights Havana - Santiago de Cuba, with scales, a flight of 7 hours of duration in a Morane Saulnier G.
In October 19 of 1915, Jaime Gonzalez was commissioned with the degree of Honorary Captain, and its aircraft Morane Saulnier G, that previously was been property of Agustin Parla, become the second Cuban military aircraft. In February of 1917 he performs flights throwing propaganda against the rebelion of the "chambeloneros". In 1920 Gonzales unite the western coasts with the orientals coast, in its monoplane Bleriot, and joins with several cities by the air, being these the first flights to the large of Cuba. This same year Jaime Gonzalez made the first postal flight in Cuba. 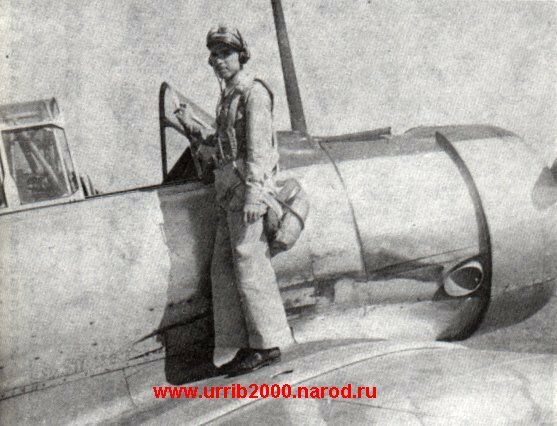 In July 4, 1920 Jaime Gonzalez dies when crashed after take off from the farm La Bien Aparecida, in Luyano, Havana, falling in the farm La Fernanda, by the bridge Alcoy. This it was the first fatal accident of the Cuban Civil aviation. Today its name carries the Cienfuegos airport. He was born in Santiago de Cuba on April 15, 1942, but was recorded in 1944 in Guantanamo, where course the studies of primary and secondary. He is one of four brothers, two females and two males, the father was professional member of the Socialist Party (Communist). Martinez works in diverse places, and in 1958 he joins the guerrillas of the II Front of Raul Castro. 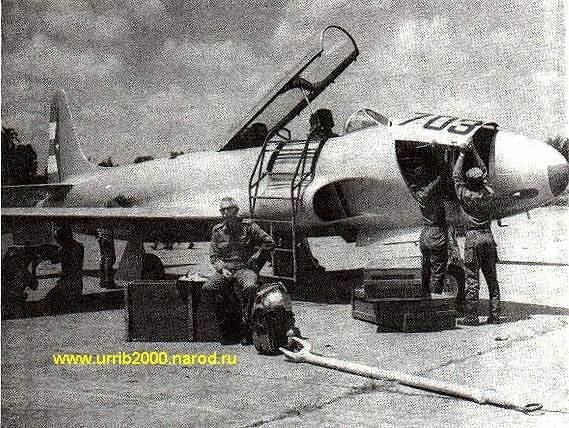 In 1959, after the revolutionary triumph, he is sent to Mexico to pilot courses, and in June of 1960 travels to Checozlovaquie to assimilate the MiG-15, returning in 1962. He occupies diverse charges, as head of diverse fighters units in Santa Clara and San Antonio de los Banos. In 1977 he was one of organizators of the Operation Pico against the Dominican Republic. En 1983 dirige la aviación cubana en los combates por Canganba, Angola. In 1983 he directs the Cuban aviacion in the combat by Canganba, Angola. Being already Brigade General in 1987, and chief of troop of the DAAFAR, when begans the combats near Cuito Cuanavale, is appointed leader of the DAAFAR in November of 1987, substituting the Division General Julio Casas. Take part as member of the Cuban delegacion that signs the peace agreements of the war of Angola. He is member of the Central Comite of the Communist Party, and Division General. In 1999 he yields the charge of head of the DAAFAR again to the General Julio Casas. He was born in August 13, 1945. To the revolutionary triumph, he joins the Youthful Patrols and later to the Young Rebels Association. In 1961 he studies artillery, and during the Missile Crisis of 1962, he is incorporated to a Popular Defense Batallion as company leader. He enters to the Revolutionaries Armed Forces in 1963, to the Military School of San Julian. After graduating he occupies different places in units of the Anti-Aircraft Defence and Revolutionary Air Force (DAAFAR), until to be named its General Stab Chieff. He complies mission in Angola, where is ascended to the degree of colonel. By proposal of the Minister of the Revolutionaries Armed Forces, the State Counsel of the Republica of Cuba have been conferred him, among others, the Order by the Service to the Country, the medals 'Ignacio Agramonte' and Internacionalist Fighter. Graduate of the Hight Military Colleges. At the end of the 2000 year he substitute to Ruben Martinez Puente as Leader of the DAAFAR, with the degree of Colonel even. In January of 2001 he is ascended to Brigade General. Mendiondo died on August 25, 2013 in an automobilistic accident.